This baby girl fledged the next day. 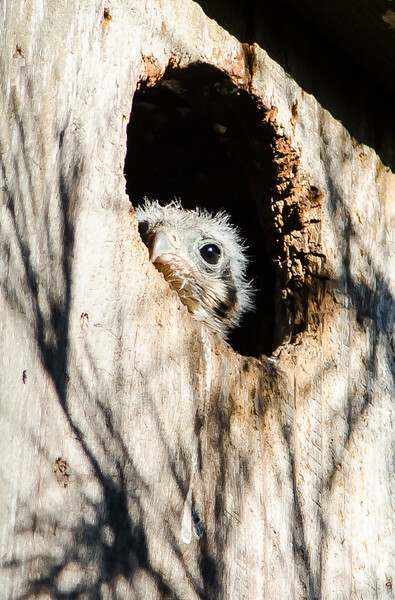 The use of nest boxes have helped some bird populations come back from population decline. Old trees and dead trees provide places for many species of birds to find cavities in the trunks to raise young.